"SHIFTING THE EXPERIENCE" We are a dealership that is built around and prides itself on excellent customer service and transparency. We want your vehicle purchase to be a positive and exciting experience. We have an excellent and knowledgeable team of advisors to help guide you to the perfect vehicle for you. We understand that there is a lot of competition in the marketplace which means that for us, taking amazing care of you as our customer becomes the top priority. 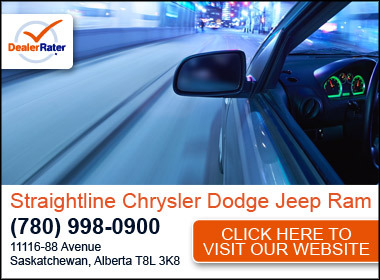 Straightline Chrysler is located at 11116 - 88 Avenue in Fort Saskatchewan, AB. 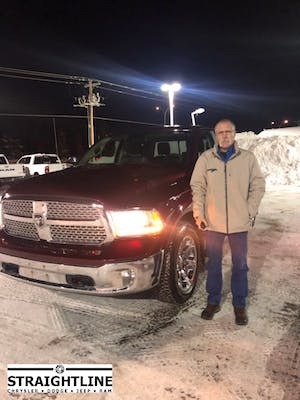 We are a premier retailer of new and used Dodge, Chrysler, Jeep and Ram vehicles. Our dedicated Parts and Service departments are ready to help with all of you automotive needs. Serving the Edmonton, Fort Saskatchewan, Sherwood Park, Lamont, Bruderhiem and Gibbons area. Was at Straightline and looking at some option's on a new truck and was greeted very friendly and had all my questions answered. Will be coming back to get the truck soon! Amber was also helpful with any finance question's I had and it was great to meet the manager Dan as well! The moment you walk in you are greeted with friendly smiles and hellos . The entire staff was so awesome. Brandon and Jake were extremely knowledgeable and listened to my needs. Dan and Amber were also beyond exception to deal with and went above and beyond for me. I will be recommending everyone to Straightline! Thank you all again. Dealing with straightline was wonderful. We were not sure if we wanted a new vehicle but they really made it worth it to us. Dealing with them, they were open and honest with all the costs, and incentives that saved us money. Will be going back again in the future. Traded a Wrangler on a Grand Cherokee. Fantastic straight-up and honest sales with Clark Hamilton, Brandon Blackmore and Amber Roy. I drive from Edmonton to deal with these guys because I get treated honestly and fairly. Have referred friends and family to these guys and will do so again. I'm happy with my new vehicle and the purchase experience - a rare combination these days. The speed at which the service dept looked at my old truck and the help I received from the sales dept was second to none. Traded in my 3 year old Jeep Cherokee Trailhawk for a new 1019 SUV. Jake and his supervisor spent quite a time to find our best deal. 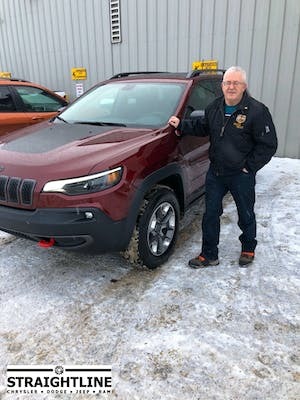 Pleased with the new Jeep. This is going to last us quite a few years. 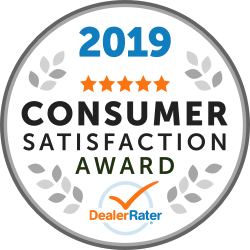 "Fantastic service from sales and finance team"
We are never disappointed with the dealership, they are always great to work with when making a vehicle purchase. Sales, finance and service are top notch!!!! looked for second car , dealt with a Katie Thomas and TY Adams they were very helpful , when the time is right i will be back .